A colleague went to Bohol! - Gateway to Canada | Canada Immigration Consultancy! A colleague went to Bohol! It's not required, but how could you say NO if a client sent you a round trip ticket to Bohol and requested you to personally deliver their visa instead of them going to Manila? And that the client insists saying that he will be celebrating his birthday and he wants you to be there? Ms. Pinky Cardillo, one of my colleagues, have just arrived. She was treated by the client to a Bohol country side tour. 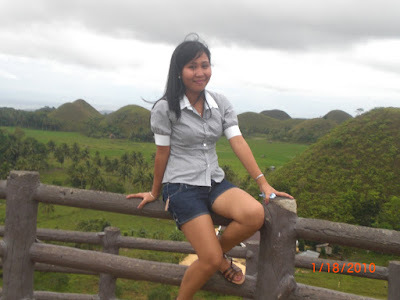 She went to Panglao Island, to the famous Chocolate Hills and other tourist destinations in Bohol! Engr. Ene Viba applied as a University Professor. His wife is also an engineer by profession. They will be moving to Canada this April 2010. You, too, can be one them. But remember, deal with legitimate consulting firms and Canada Immigration Lawyers only!